ancilla partners, inc.Employees Archive - ancilla partners, inc. The definition of our company name illustrates our core competency: “an aid to achieving or mastering something difficult.” That is what we do -- help bring transformative ideas in healthcare IT to life by providing collaborative expertise to every step of your start-up process. Product development, validation, marketing and sales. We have a proven methodology and team to help like-minded entrepreneurs bring their vision to market. Since 2004, our team has been involved in pioneering the display of healthcare quality information on the web. We understand quality measures and the context surrounding them. We are strategic partners with our clients, assisting their organizations with their mission and goals. We excel at designing software and web sites that people find easy to use. We will involve your users, test prototypes before building, and work with you and your business and organization to build what makes sense for your business. We use the same philosophy with our products, and are continually updating them for an optimal user experience. We understand the latest in web technology and security and develop applications that are secure, reliable, and perform well. We have worked with many healthcare clients in a number of environments. We also work with an excellent network of strategic partners to insure the quality and reliability of your software and web site. Allen Cooper, President/CEO. He has over 20 years of extensive experience in both quality data and reporting initiatives and overall business experience. He has worked with many clients, typically responsible for overseeing and executing health care quality data and measure reporting initiatives. This also includes developing and managing web-based applications. Allen began his career at Accenture and was there for eight years, and left to pursue an MBA. While achieving his MBA, Allen accrued experience in the areas of supply chain strategy, corporate finance, and overall business/technical consulting in previous positions with Kohl’s, Harley Davidson and Virchow Krause. Allen earned his MBA from UW-Madison and his BBA (Accounting and Management of Computer Science) from UW-Whitewater. 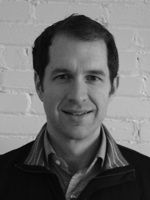 Andrew Schroeder, Vice President - Sales and Strategy. Andrew brings 15 years of successful sales management and strategy experience in healthcare to his role at Ancilla. His background in the space is diverse in that it spans a Fortune 500 company in Siemens Healthcare but also encompasses a successful startup by helping build a number #1 KLAS rated healthcare IT company at Connexall USA. This business background and corresponding understanding of the healthcare market is complimented by his legal training, providing a skill set in negotiation and contracting that is an important value-add to Ancilla. 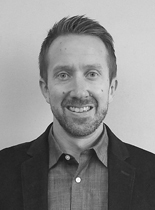 Andrew has experience working with some of the largest independent delivery networks and best academic medical centers in the country; as well as building partnerships with other companies in the market to expand brand, visibility and revenue. Andrew is a proud Badger and earned B.A. and J.D. degrees from the University of Wisconsin - Madison. Madison Fox, Project Manager. Prior to joining Ancilla, Madison was a Client Coordinator for Ashfield Healthcare where she worked on multiple client programs and gained experience with client management. 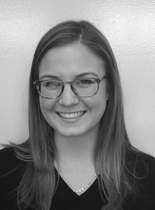 She has a strong passion for health care, exhibited through her academic pursuits and an internship with one of our clients, the Pennsylvania Health Care Quality Alliance. She graduated from Haverford College in Haverford, PA, with degrees in History and Health Studies and hopes to achieve a Masters in Healthcare Business Administration. Erik Wessel, Technology Manager. He has been working with the Internet for 25 years, his experience spanning from front-end producer to server programmer. Prior to working at Ancilla, Erik's work at advertising agencies such as Laughlin Constable, Jacobson Rost, and Street Cance was in the vanguard of using technology and new media for communicating with customers and building strong relationships. 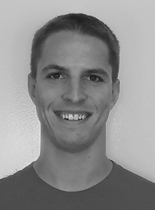 In the health care field, Erik has focused on building tools that manage and present data for different quality measures like PQRI and custom specs from clients. He graduated from Knox College in Galesburg, Illinois with a degree in English. 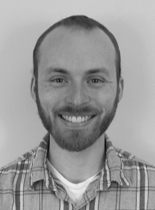 Clifford Kimpel (CJ), Senior Web Developer. He is a graduate from Milwaukee School of Engineering with a B.S. in Software Engineering. 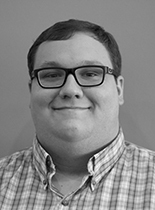 Prior to joining as a full-time employee at Ancilla, he worked part-time as a web developer at Searium Solutions LLC. He is a fast-learner and has made an immediate and positive impact in the organization. Russ Mutza, Web Developer. Russ has been working on websites for 10 years. He attended Milwaukee Area Technical College where he learned about everything from Web Development to graphic design and mobile application design. Joshua Brown, Web Developer. Joshua graduated from Waukesha County Technical College in May of 2016 having earned an Associates of Applied Science degree. Josh began his career at Ancilla Partners, Inc. as a Winter Term Intern in 2016. That following summer we hired him as a full-time employee! Kevin Brown, Web Developer. Kevin joined us as an employee after finishing a successful internship in the Summer of 2018. He is working part-time with us while pursuing his Bachelor’s degree in Computer Science at the University of Wisconsin-Milwaukee. 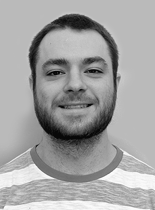 Kevin is a Milwaukee native and fan of the Green Bay Packers and Milwaukee Bucks. In his free time he enjoys staying active and plays competitive ultimate frisbee. Cameron Clark (Cam), Web Developer. Cam earned his Bachelor's Degree in Computer Science from the University of Wisconsin-Madison. He participated in our Summer Internship in 2018. Following his graduation, we hired Cam as a full-time employee! 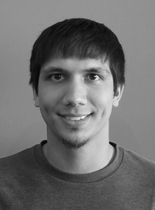 He has experience working with both mobile and web based applications. He enjoys playing tennis and writing creatively in his free time. 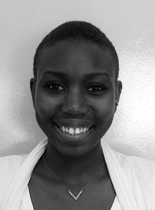 Akosua Del-Gado (Ku), Applications Support & Office Assistant. Akosua is finishing up her Bachelor's degree in Biology with a focus on Pre-Veterinary Science at the University of Wisconsin-Milwaukee. She currently volunteers at the Wildlife Rehabilitation Center at the Wisconsin Humane Society here in Milwaukee.